The HMSS Weblog Spy Command has begun an effort to archive at least some articles from the former Her Majesty’s Secret Servant website. So far, only three articles are back online: IRON MAN, THE COLD WAR YEARS (originally published in 2010), MATT HELM, AMERICA’S LOADED WEAPON, originally published in 2000 with an update in 2007, about the Dean Martin movies, and IOWA: SPY CENTRAL, about the University of Iowa’s collection of papers by 007 screenwriter Richard Maibaum and The Man From U.N.C.L.E. executive producer Norman Felton. We have the text and art for several other articles and will try to get those up as time and real life permit. There’s no way for the blog to preserve all the stories but we’re trying to do what we can. Her Majesty’s Secret Servant was published from 1997 until 2014, with the last new issue in 2011. The HMSS Weblog, now The Spy Command, started in 2008, formally became a separate entity last year. The name Her Majesty’s Secret Servant is copyrighted by Paul Baack and Tom Zielinski. —THE BOND TOO BIG FOR 007: The first draft of Moonraker was so big, it was too much even for James Bond. Story looks at that script as well as drafts for Diamonds Are Forever, Casino Royale and Tomorrow Never Dies. Originally published in 2011 in the final issue of Her Majesty’s Secret Servant. —QUANTUM OF FLEMING: How much “Fleming content” is in each James Bond film? A feature article expanded from posts in The HMSS Weblog originally written in 2010. Updated to include Skyfall. The expanded article never ran until now. Happy New Year from The HMSS Weblog. 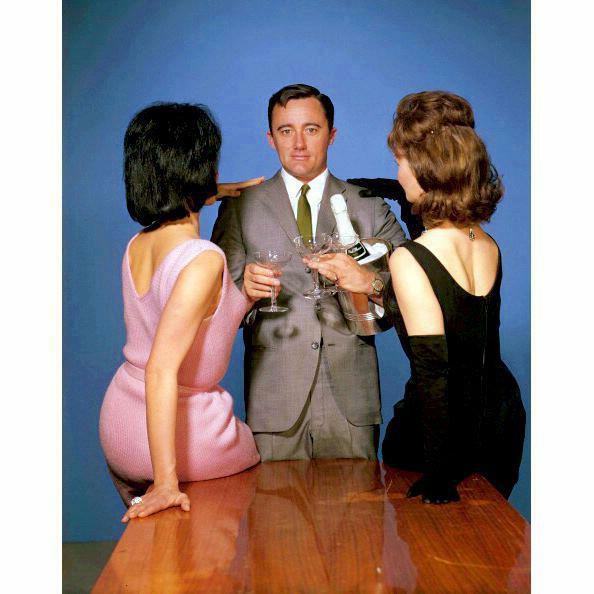 As Napoleon Solo says, remember to party responsibly. We’ll see you in 2015. Our annual holiday greeting, a tradition since 2011. Art by Paul Baack. After six years, The HMSS Weblog has a new logo reflecting how it is now, formally, a stand-alone entity. That’s because the Her Majesty’s Secret Servant, the e-magazine website, has gone offline after 17 years. The HMSS Weblog was started in 2008. The original intent was for Her Majesty’s Secret Servant to have an Internet presence between issues. Over time, The HMSS Weblog developed its own identity and voice while Her Majesty’s Secret Servant was published less often. The last new issue of Her Majesty’s Secret Servant came out in the fall of 2011. An attempt was made to come out with an issue in late 2012 for reviews of Skyfall. For a variety of real-life reasons, that never came about. Reviews were written but remained unpublished. They eventually ran in May 2013 in The HMSS Weblog. It would be the last hurrah for Her Majesty’s Secret Servant. Fan sites come and go. Her Majesty’s Secret Servant had a long run. For those who were contributors, there are a lot of good memories. Meanwhile, the publishers have their reasons for moving on. Meanwhile, The HMSS Weblog will continue. The new logo only reflects what the blog has been for some time. The HMSS Weblog will publish a mix of news and commentary about the world of James Bond and other spies. The latter category includes The Man From U.N.C.L.E. movie that’s coming out next year as well as classic spy shows of yesteryear. The blog will also publish the occasional guest column. Onwards and upwards.